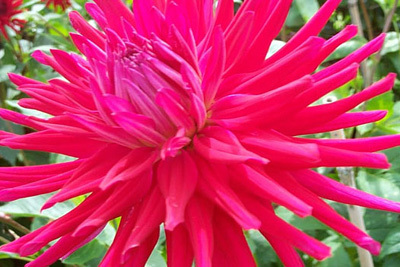 This week I have ordered my dahlias. If you have read my Growing page you will understand that this will cause a certain amount of trepidation on my part, so this afternoon I am going to clear their intended patch on the allotment and dig in plenty of nourishing home-made compost in readiness. Since I won't actually be able to plant them out until the risk of frost has passed at the end of May, I am considering growing some green manure on that patch first. 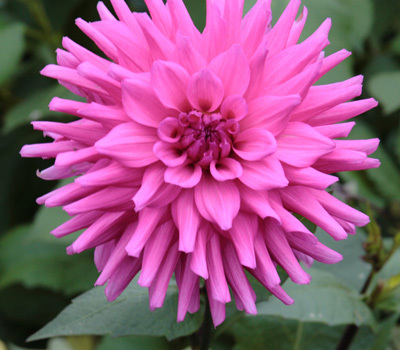 This would prevent weeds growing on the prepared bed, prevent nutrients being washed out of the soil in the meantime and improve the soil structure for the dahlias. The idea then is that you dig the green manure into the soil a couple of weeks before the dahlias go in, to give it chance to break down into the soil. I buy my green manure seeds from The Organic Gardening Catalogue, the retail arm of Garden Organic (formerly HDRA). A visit to the National Dahlia Collection, near Penzance, last summer persuaded me that I really must bite the bullet with dahlia growing this time, lest my garden should remain bereft of these brassy blooms forever!